Source: Data taken from Fig. 1 from "Don't Crush That Tablet!" by Mary Lynn McPherson, PharmD in AMERICAN PHARMACY, May 1994, Vol. NS34, No. 5, p. 58. Sometimes, no matter what you try, your child is either not ready or might have a physical or emotional impediment to being able to swallow pills. What can you do? The easiest and most basic approach is to simply mention to your child's health care provider that he/she has this common problem. If your child isn't ready to learn how to swallow pills, explore alternative forms of the medication. The provider may be able to prescribe an alternative medicine or a medicine in a liquid form. 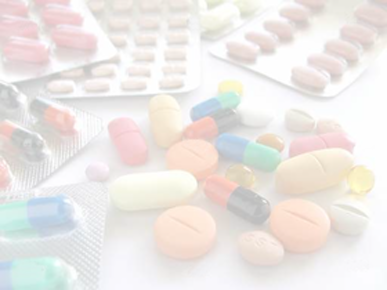 Most children's medicines do come in liquid, sprinkle, or chewable forms and some can be crushed or dissolved. Some specialized pharmacies can make up an elixir that contains a palatable tasting liquid containing the required medication if your child cannot swallow pills or capsules. Ask your Pediatrician to prescribe a medication that can be opened and sprinkled on applesauce, etc. Or, find out if there is a liquid alternative to the medication. Most pills can be modified to help a child take it, with the exception of controlled release, time release, or enteric-coated pills. See Table 1 These types of pills aren't meant to be crushed, as they are expected to digest a little slower. By crushing them, the outer "shell" or coating that is placed around these pills is removed and the absorption rate would increase, which can be dangerous depending on the medication. Therefore, never crush, break or dissolve tablets or capsules unless your doctor or pharmacist has advised you to. If your health care provider agrees it is safe, you can empty out the capsules or break/ crush the pills. In order to make crushing easier, first moisten the pill with a few drops of water and let it soften for approximately 15 minutes. Then you can crush the pills between two spoons. Then add them to something that tastes good, such as a spoonful of chocolate syrup. Slow-release capsules can usually be emptied as long as the contents are swallowed without chewing. Since capsules commonly contain bitter-tasting medicines, the contents need to be mixed with a sweet food—such as apple sauce. Large pills or tablets can sometimes be cut in half with a pill cutter. (Link to images of pill cutters; perhaps a photo montage that would also be in the tool kit) Pill cutters are inexpensive, and they can be purchased at your local drug store. A pill cutter will reduce the pill in size and can make it easier to swallow. Just be sure to check with your doctor or pharmacist that the pill can be cut. See if your pharmacist has a 'recipe' to turn the pill or capsule into a liquid. Some people are already doing this with some medications, but you will likely have to go to a compounding pharmacy to get it done. If the medication can safely be converted to liquid form, ask your pharmacist if they offer FLAVORx which is a system used to alter the flavor of liquid medications. More information can be found on the FlavorX website ( www.flavorx.com). When a child is capable of swallowing pills but exhibits an aversion secondary to the taste of the pill, some pills can be inserted into a larger sized empty gelatin capsule. These capsules, which come in various sizes and even flavored varieties, www.capsuline.com, can be purchased through online vendors. Though not likely, it is important to check with your medical provider to be sure that such a method will not interfere with time-released actions on some medications.